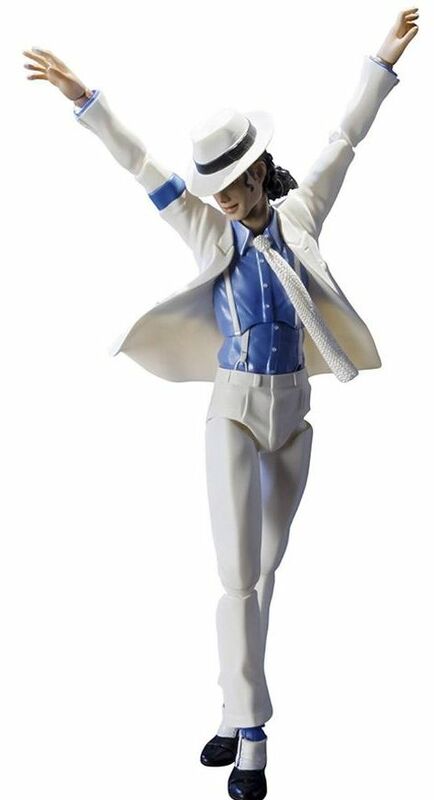 A new action figure that recreates the outfit and actions from Michael Jackson's hit song, "Smooth Criminal!" Only in the S.H.Figuarts series. Includes an original stand and ankle parts to recreate the famous "zero gravity" pose. Movable joints throughout the entire body allow fine movements and impressively "Michael-like" action. Made with digital coloring technology to print expressive detail in high precision. This technology enables the most subtle nuances of Michael's expressions! Comes with 2 faces of normal and smile.